Fronting one of the most picturesque harbours in the world, Grand Hyatt Hong Kong defies the rules of space, shatters the images of a modern hotel and redefines luxury with classical standards of excellence. Deservedly it is Hyatt International's flagship hotel. Reminiscent of the grand old European hotels at the turn of the century. Grand Hyatt has all the elegance, grace and aesthetic features of that bygone era. 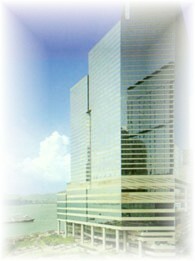 Hong Kong Convention and Exhibition Centre, Wanchai Sports Ground, Museum of Historical Chinese Relics.